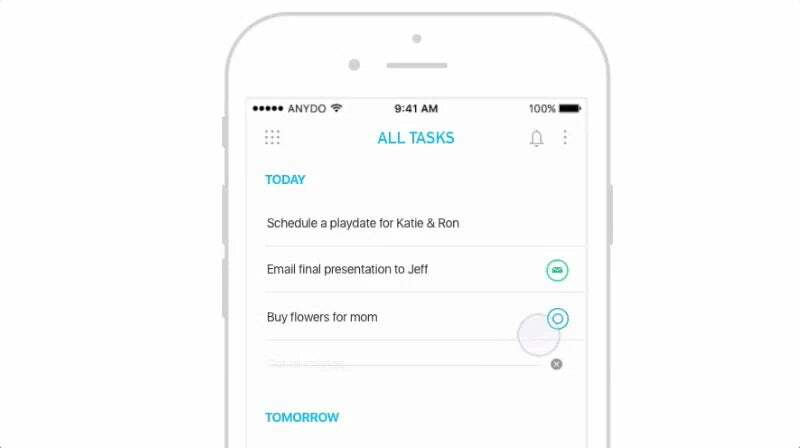 iOS/Android/Web: Any.do is rolling out an update to its to-do apps to include an AI-driven smart assistant thats goal is to help you complete tasks as soon as possible. Also included in the update are an integrated calendar and real-time sync. The new assistant is essentially a bot that helps you complete tasks. Once you're in the beta, you'll occasionally see a button pop up on tasks that signals the assistant can help. The bot will only appear on certain tasks you create like, "Buy flowers for mum," or "make reservations for dinner," which means it will sort of just work under the hood and be available when you need it without being in your face all the time. While this is still in beta, you can sign up for access right now over on Any.do's site. The integrated calendar and syncing are available right now on the iOS version and works exactly as you'd expect. The calendar's helpful for anyone who tends to keep their to-dos organised in a schedule, but it's integrated into the app in a way that's easy to ignore if you don't want to use it.